In just three short weeks, this lot has been transformed. As you can see, a home is soon to occupy this space. 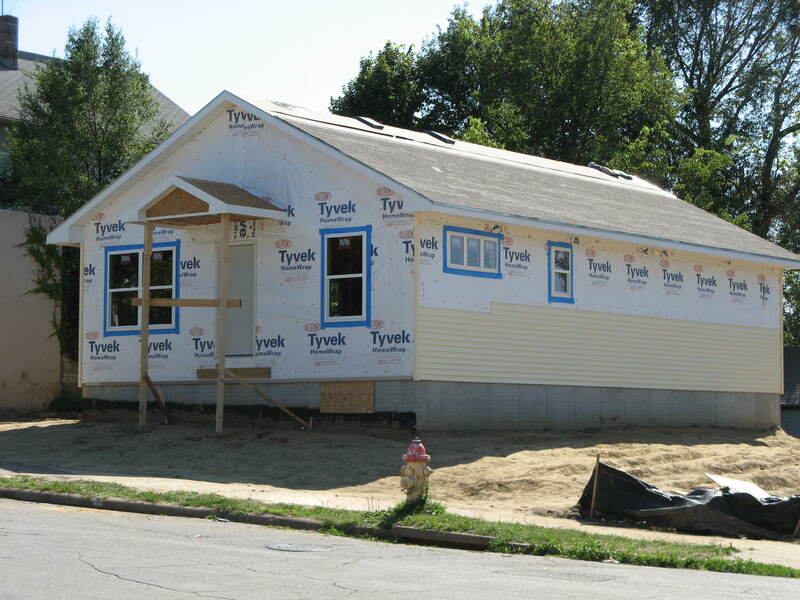 The walls are up, the roof is on, the windows and doors have been installed, siding has begun. It is truly a labor of love that will soon make this house a home. Come on out, lend a hand!